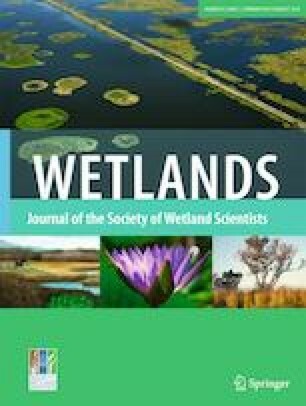 Can Multi-Element Fingerprinting of Soils Inform Assessments of Chemical Connectivity Between Depressional Wetlands? 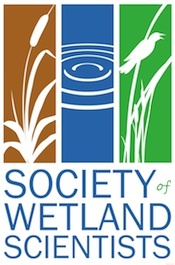 The question of wetland connectivity is particularly relevant regarding depressional wetlands because these often seem to be “isolated” from other wetlands on a landscape. We used multi-element fingerprinting to assess similarity in element composition of depressional-wetland soils as a measure of wetland connectivity. We determined the concentrations of 63 elements in the surface soil (top 10 cm) for ten sequences, each consisting of at least one recharge, one flow-through and one discharge depressional wetland in the Prairie Pothole Region of North Dakota. Across all wetlands, soil pH, organic matter content, and electrical conductivity were the most important variables explaining variation in element concentrations. Electrical conductivity and pH significantly increased along a recharge to flow-through to discharge gradient, as did concentrations of As, B, Ca, Co, Hf, Li, Mg, Na, S, Sb, and Sr. Concentrations of Ag, Cd, Cu, P, Pb, Rb, and Se showed the reverse pattern. Similarity-tree analysis revealed that recharge and discharge wetlands clustered in different groups, but that flow-through wetlands were distributed across the spectrum. Our study supports the idea that wetlands in the PPR are chemically connected through surface-water and groundwater flows, and erosional processes, but also behave as independent units within a larger hydrologic landscape. The online version of this article ( https://doi.org/10.1007/s13157-019-01154-x) contains supplementary material, which is available to authorized users. This research was financially supported by a US Environmental Protection Agency grant (CD-96853101, Otte), the Society of Wetland Scientists (EiC stipend to Otte), the National Natural Science Foundation of China (No. 41601101, Zhu); China Postdoctoral Science Foundation (No. 20150010, Zhu); the Science and Technology Development Project of Jilin Province (No. 20170520081JH, Zhu) and the International Postdoctoral Exchange Fellowship Program (No. 20160065, Zhu). We thank Justin Waraniak for his help with data analysis; Benjamin Hintz and Kaitlyn Willason for their assistance with field work and sample analysis. We thank William Arnold and anonymous reviewers for their constructive reviews of earlier drafts of our manuscript. Any use of trade, firm, or product names is for descriptive purposes only and does not imply endorsement by the U.S. Government.